FML NEO is effective in the treatment of infectious conjunctivitis due to organisms sensitive to Neomycin. FML NEO may be used for the treatment of the anterior segment inflammatory disorders which may be threatened with or complicated by bacteria sensitive to Neomycin. FML NEO is effective following removal of foreign bodies as well as before and after surgery where the possibility of infection with susceptible organisms exists. 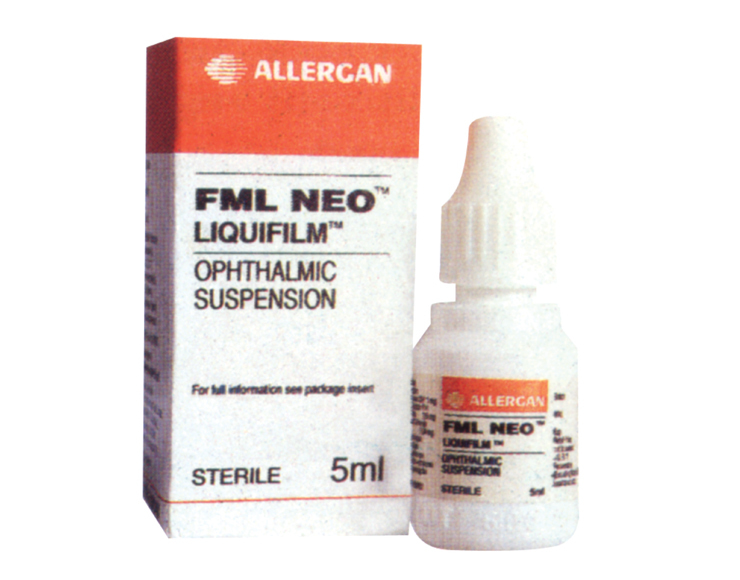 FML NEO is available as a sterile ophthalmic suspension in 5 mL plastic dropper bottle.